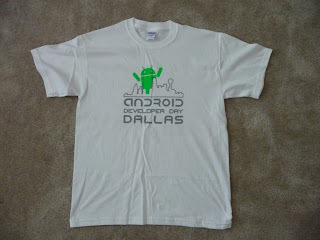 Yesterday I attended the Android Developer Day in Dallas. While it was mainly geared towards people just starting out with Android it was great to meet some fellow Dallas Android developers. Being new to the area I don't really know anyone so yesterday was very beneficial as a networking tool. All the speakers were knowledgeable with the platform and very friendly. Overall it was a great day and I'm definitely looking forward to future events. As a bonus we all got free Android t-shirts. After speaking with a few people it is obvious I should blog more. It is actually harder than I thought to construct meaningful posts. So for the next few weeks I have set myself a goal of blogging more frequently. Have year heard anything about the another developer day or get together and code groups? 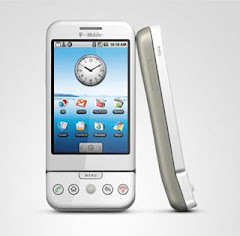 There is an active meetup group for android developers (Dallas Android Developers), which is ok if you want to see speakers, but I haven't found anything more hands on.